You know rearview mirrors, four-wheel brakes, front-wheel drive, and maybe even balloon tires. But do you know that all these things, and many more, can be traced back to one of the businesses that sprang from the fertile mind of James Ashbury Allison (1872–1928)? 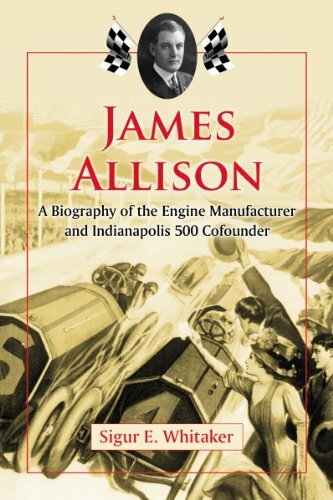 He did not invent any of these things (he did invent the Allison Perfection Fountain Pen) but it is in his cofounding the Indianapolis Motor Speedway with the express purpose of improving the automobile that all of the above were advanced in critical ways. None other than WW I flying ace Eddie Rickenbacker, who owned the Speedway from 1929 to 1946, thought that 70% of all mechanical improvements to the automobile had originated or been perfected at the Speedway. It is surely no coincidence that the Indy 500, “The Greatest Spectacle in Racing,” is celebrating its 100th anniversary in the same year this is book is published (2011). It was here that Allison’s Speedway Team Company (later Allison Experimental Co.) was founded, a high-end machine shop that maintained racecars and developed, manufactured, and tested parts. Still today, Allison Transmission and Rolls-Royce Allison are key players in the field of industrial engineering. That Allison had the means to apply himself to such enterprises is due to the fortune he made in yet another, earlier, business venture—Presto-O-Lite, the fuel source for most early headlights. This book is the result of that research. To make the man relatable, the Introduction begins with his death—at only 55 years old and only four days into his marriage. If that doesn’t grab you, what will? Family background, school, the bicycle “craze,” and the early friends that would accompany him through much of his life serve to establish the character. 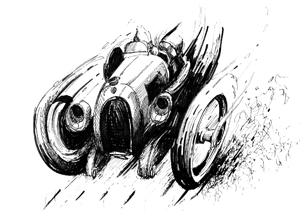 Then the book diverts to the antediluvian days of engine development in America, going back to Oliver Evans’ experiments in the late 1700s, before resuming the story of Allison’s and the motor industry’s fortunes. Probably half the book revolves around the Speedway. Also covered are his activities outside of the motor industry, such as the Liberty engine and in later life Miami Beach real estate—especially the Aquarium and hospital—as well as his private life and, of course, his house, Riverdale (built 1911–14 for a staggering $2 million! ), that launched Whitaker on this project in the first place. The reader should be mindful that neither the author nor the publisher bill this book as an “engineering” biography. What this means to the transportation-minded reader is an occasional lack of specifics. For example, the author describes in most engaging manner the Presto-O-Lite company’s unsettling habit of exploding—thrice in one year. It is vastly entertaining to read about apple pies in the bakery window across the street being showered with shattered glass—but what did the motoring public that was expected to pay for the privilege of bolting an inherently unstable device to their precious motorcars make of this safety hazard? The only 19 photos leave one wishing for more—an all too common lament in McFarland books! The really curious reader will appreciate the extensive Chapter Notes that list source material and also the thorough Bibliography (books, letters, newspapers and more). Good Index. Readers who want to get a sense for what the Speedway—and the people and cars—looked like at about Allison’s time (he died 1928) should check out the 1929 silent MGM movie (with modern sound effects) Speedway by Harry Beaumont. 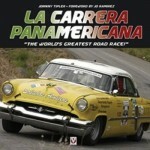 Lame story—cool cars!